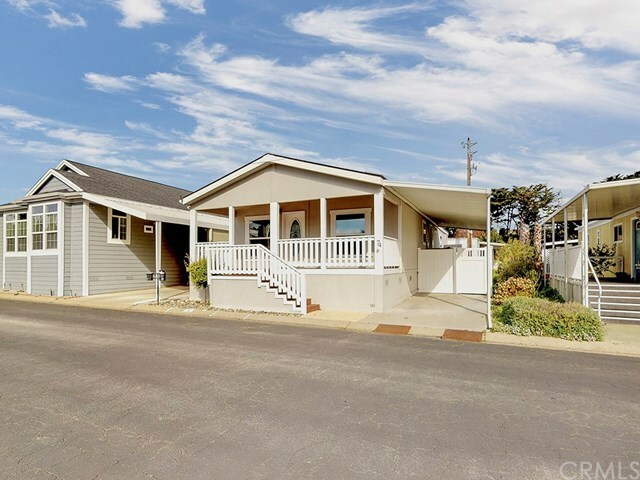 This beautiful double wide manufactured home is in excellent condition and ready to move in now. It has 3 bedrooms and 1.75 bathrooms. It has a large living room with a very nice dining room. The large kitchen has lots of storage space. The master bedroom is also large and the guest bedrooms are very nice as well. The home has a wonderful covered deck and a fenced yard with a nice storage shed. This home is walking distance to downtown and the local shopping centers. The new space rent will be approx. $667.37 per month. Directions: Take S. Higuera to Prado Road. Turn east on Prado and then turn left into Rancho San Luis Mobile Home Park. Turn right after you enter the mobile home park.